Born Pretty Store have their own range of nail art stamping plates, they have both small round plates and large rectangle plates. 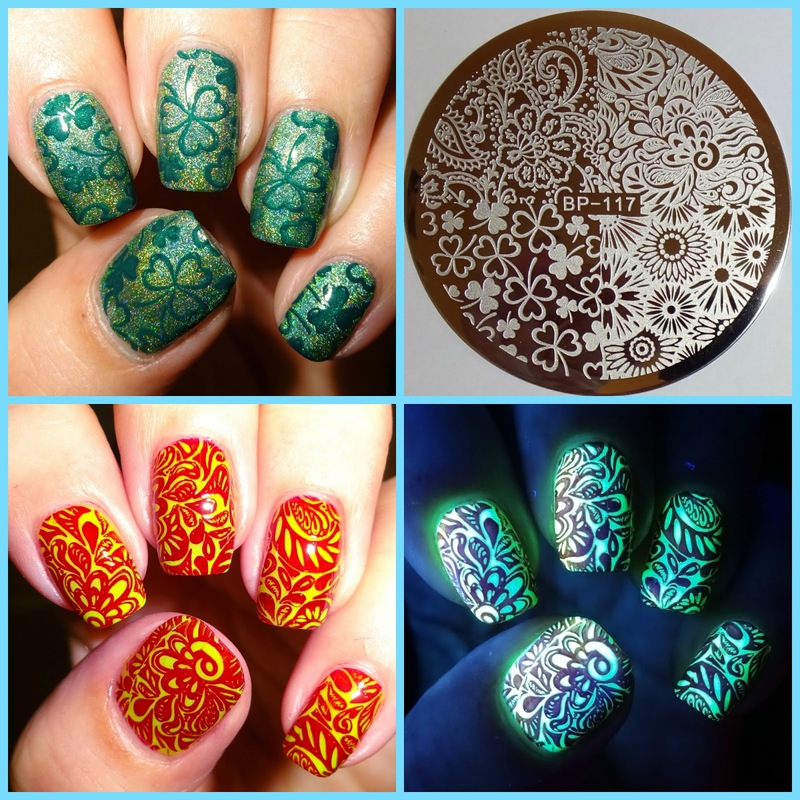 Here I'm sharing with you a couple of manis from Stamping Plate BP-117, a round plate with 4 designs including clovers (great for St Patrick's Day), flower heads, paisley & swirly patterns. The plate is suitable for long nails and you can create both delicate and bold designs. To the pics!!!! This mani is using the clover design, which will be great for St Patrick's Day. For above and below I used a fluorescent yellow base nail polish which lights up under a UV lamp and looks very effective and the stamped pattern really pops.